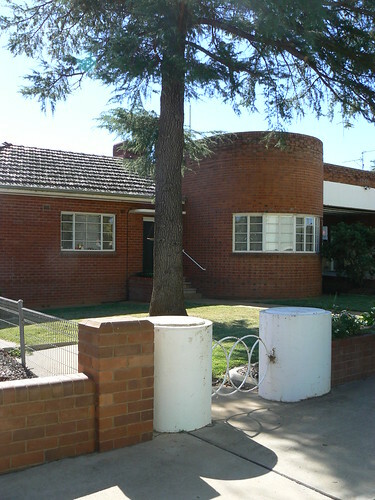 The Ambulance Station in Leeton, located in the New South Wales irrigation area near the Murrumbidgee River, was designed by architect, S J O'Halloran of Wagga Wagga, and was constructed by contractor, C Churchill of Newcastle. 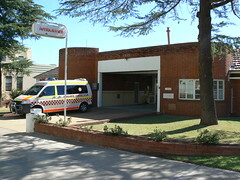 The date above the ambulance bay reads 1952. 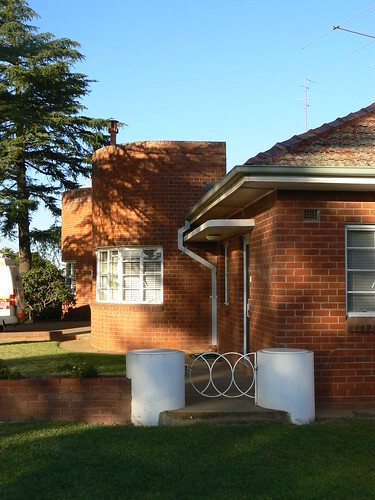 A interesting aspect of the property is the concrete barrels that serve as gate posts and the metal gates composed of large interlocking circles, but more on that tomorrow. LOL ... but can you shed any light on the mystery?